Journeys to the ends of the world, fantastic creatures, betrayals, heroic deeds and friendships won and lost — all come together in an unforgettable world of magic. So join the battle to end all battles. Narnia …. a land frozen in eternal winter … a country waiting to be set free. Four adventurers step through a wardrobe door and into the land of Narnia — a land enslaved by the power of the White Witch. But when almost all hope is lost, the return of the Great Lion, Aslan, signals a great change … and a great sacrifice. 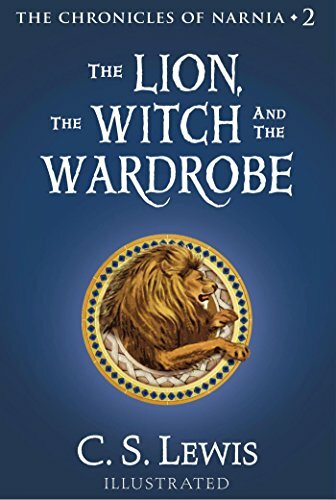 HAVE YOU READ The LION, tHE wITCH AND THE WARDROBE? My mom read The Loin the Witch and the Wardrobe to me and my brother when we were little and I absolutely loved it. Such a magical story, but I don’t really remember a lot about it. It is a magical story. A couple of years ago, the community theater put it on as a play. I took my son and daughter to see it. They were enthralled. I went and got the entire series. My son, who was 9 at the time devoured the book. I have the series that I bought for my son when he was younger. I need to reread them as I think I have forgotten more than I remember.